Gary Albright (May 18, 1963 – January 7, 2000) was an American professional wrestler best known for his work in Japan, first with UWF International (UWFi), and later All Japan Pro Wrestling (AJPW). In AJPW, Albright was a two time World Tag Team Champion. Albright was also known for his work with Stampede Wrestling in Canada, under his birth name as well as the ring name Vokhan Singh. An accomplished amateur wrestler, Albright translated this into his professional wrestling style, utilising many suplexes and throws throughout his career, earning the nickname "Master of Suplex". Albright was a member through marriage of the famous Anoaʻi wrestling family, including Afa and Sika, Yokozuna, Rikishi, The Rock, Jimmy and Jey Uso, and Roman Reigns. His widow, Monica, is the daughter of Afa Anoaʻi. On January 7, 2000, Gary Albright collapsed in-ring upon receiving a three-quarter facelock bulldog from his opponent. Only minutes after being removed from the ring, Albright was pronounced dead. The cause of death was later ruled to be a heart attack. Albright was born in Rhode Island and started amateur wrestling while in High School. Albright wrestled for Billings West High School in Billings, Montana where he had a 55-2 record. Albright was the 1980 state champion. In 1981 Albright placed 2nd in the state championships in Helena, Montana. Albright would go on to wrestle in the NCAA for the University of Nebraska where he set the Nebraska State record for total falls in a season: 38 falls in the 1985-1986 season. After graduating college Albright began to train for a professional wrestling career, getting advice and training on pro wrestling by prominent wrestlers such as Lou Thesz, Billy Robinson and Danny Hodge in the process. In 1988 Gary Albright got his first break in wrestling when he signed on with Stu Hart's Stampede Wrestling out of Calgary, Alberta, Canada. Albright was brought to the Hart family's attention by Brian Pillman who knew of Albright through a mutual acquaintance. He started out as a face but it wasn't long until the promoters decided he would work better as a heel. Albright's gimmick was changed to that of Vokhan Singh, supposedly a wrestler from Karachi, Pakistan. Albright was teamed up with Makhan Singh (Mike Shaw) to form Karachi Vice, considering that Shaw was even paler than Albright their claims were never supposed to be taken legitimately. Albright and Shaw were led by "Gama Singh" (who was legitimately from India) the founder of "Karachi Vice", the stable also included Steve DiSalvo and Kerry Brown. The two 300+ pound men made a formidable combination, so formidable that they beat the legendary British Bulldogs for the Stampede International Tag Team Championship on December 30, 1988. The team defended the titles for just about four months until losing them to Chris Benoit and Biff Wellington on April 8, 1989 Stampede closed by the end of 1989 at which point Albright began looking elsewhere for employment. Albright wound up working a couple of tours of South Africa, USWA, an appearance in WCW, New Japan Pro Wrestling and various independent federations between 1989 and 1991. Thanks to Bruce Hart Gary Albright managed to sign up with the recently created Union of Wrestling Forces International, also known as UWF International or UWFi. The UWFi was a Shoot Style professional wrestling promotion, this meant that they presented an in ring product that was based on shoot style fighting that focused on striking, suplexes, and submissions (similar to the UFC) but that like all professional wrestling the outcome was pre-determined. Albright made his debut with UWFi on August 24, 1991, knocking out Yoji Anjoh in 7:29. Albright's massive size and his amateur background made his suplexes seem very impressive, to add to Albright's "Suplex machine" image he was typically booked to win by knocking out his opponents with brutal German suplexes such as his 5:26 victory by knock out over Kiyoshi Tamura on December 22, 1991. The highlight of Gary Albright's initial UWFi push came on May 8, 1992 when he knocked out Nobuhiko Takada with his signature German suplex at Yokohama Arena in front of an announced crowd of 14,000. Takada was UWFi's biggest Japanese star, the loss to Albright helped cement him as a serious competitor in the UWFi. Albright continued his winning ways in singles and tag matches through the summer of 1992 defeating such notable competitors as "Bad News" Brown. Albright's string of victories came to an end when he lost a rematch with Takada on September 21, 1992. Albright submitted to Takada's cross arm breaker, thus making Takada the first UWFi World champion. After the loss to Takada, Albright continued to win singles matches, usually in less than five minutes, but with the arrival of Super Vader, Gary Albright was supplanted as the top Gaijin in the federation, fighting in the undercard instead of the main events. Albright teamed up with Dan Severn in a loss to Salman Hashimikov and Vladimir Berkovich. Hashimikov forced Severn to submit to a Cross Armbreaker in 13:09 on the first UWFi PPV broadcast in American called "Shootfighting". 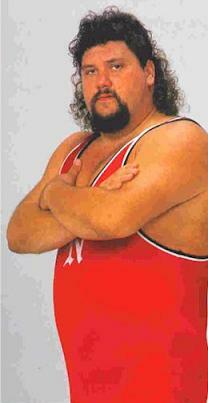 Albright began to get pushed again in 1994 as part of UWFi's "Best of the World" tournament. In the first round of the tournament Albright knocked out Billy Scott in 2:11. He then defeated Yoji Anjoh in the second round to advance to a semifinal match with Nobuhiko Takada. On June 10, 1994, in front of a sellout crowd at Nippon Budokan, Albright lost by submission in 16:00 in the main event. Albright defeated Kiyoshi Tamura on August 18, 1994 to finish third in the tournament, the same night that Vader defeated Takada for the UWFi title. With Albright finishing third in the tournament and Vader defeating Takada to win the tournament the UWFi started to promote a meeting between Vader and Albright as an UWFi "Dream Match". Building up to the singles title match the two faced off in a couple of tag-team matches leading up to the big event. On October 8, 1994, Albright forced Vader to submit to the cross arm breaker in a main event tag team match, then on November 30, 1994, Albright forced Takada to submit to a cross arm breaker in the main event to earn a match with Vader in January. The UWFi "Dream Match" took place on January 16, 1995, a match that saw Vader winning the match in 11:25 using a choke hold. The build up and the match were a commercial success, with Albright and Vader drawing large sellout crowds in their two tag team main events, Albright's contenders match with Takada, and the Vader versus Albright title match. During 1995 UWFi began having problems because while they had pushed Albright, Takada and Vader to the main event they had not succeeded in building up more challengers and their attendance was dwindling. On May 17, 1995, Albright lost to Masahito Kakihara in the semi main event to build up Kakihara for a match with Takada. On June 18, 1995 Albright was supposed to put over Kiyoshi Tamura to build him into a main eventer. The match saw Albright ignoring the referee's instructions leading as he yelled "Break Gary, break!" Albright also laid around on the mat doing nothing much until Tamura secured a rear choke and Albright tapped out. It is not clear if Albright's actions in this match were legitimate or part of a Storyline, the only thing that is known for a fact is that Albright returned two months later, on August 18, 1995 and submitted to Tamura in the main event without incident. Six days later UWFi announced a working agreement with New Japan Pro Wrestling and Albright left the promotion, signing with All Japan Pro Wrestling. On October 25, 1995 Albright lost to Toshiaki Kawada at Budokan Hall in a semi-main event singles match. Albright teamed with Stan Hansen on the following tour and the pair finished third in the World's Strongest Tag Determination League. On January 24, 1996 Albright and Hansen beat Kawada and Taue for the World Tag Team Championship, but lost them four weeks later on February 20, 1996 in a rematch with Kawada and Taue. Albright challenged Mitsuharu Misawa for the Triple Crown Heavyweight Championship on March 2, 1996 but Misawa's high flying style was too great to overcome. Misawa won by pinfall after his rolling elbow to retain the title in Albright's only shot at the AJPW title. After the loss to Misawa, Albright was not pushed as a singles wrestler in All Japan, finishing seventh in each of his four Champion Carnival appearances while scoring a few upsets over wrestlers such as Toshiaki Kawada in 1997 and Kenta Kobashi in 1998. Albright teamed with Sabu in the 1996 World's Strongest Tag Determination League, finishing last with 6 points scoring only 3 wins in the tournament. Albright teamed with Steve Williams and Lacrosse to form the "Triangle of Power" in 1997. Albright and Williams finished third in the World's Strongest Tag Determination League that year and went on to win the Unified tag titles on July 25, 1997. Albright became the leader of the Triangle of Power after Williams left the promotion and Lacrosse dropped the character; their replacements were Yoshihiro Takayama, a former UWFI mid-carder, and young AJPW wrestler Takao Omori, but Albright's faction was not pushed. Albright teamed with Kamala in the 1998 World's Strongest Tag Determination League, winning only one match and teamed with Wolf Hawkfield (the renamed Lacrosse) to finish last in the 1999 Tag League, including a defeat to former charges Omori and Takayama. Albright won his final match in All Japan in 1999, beating Masao Inoue in 8:35. On January 7, 2000, Albright wrestled at a World Xtreme Wrestling show in Hazleton, Pennsylvania against Lucifer Grimm (real name Bill Owens). After being hit with a three-quarter facelock bulldog, Albright collapsed to the canvas. A worried Grimm rolled Albright on top of himself to finish the match after which concerned wrestlers and ring crew tried to resuscitate him. Albright was pronounced dead shortly after being removed from the ring. The official cause of death is listed as a heart attack. The medical examiners also found that Albright suffered from diabetes, had an enlarged heart, and blockage of several coronary arteries. Because it was determined that Albright died of natural causes, the police were never involved in the matter. Albright was survived by his wife Monica Anoaʻi, his son Samuel, and two daughters, Angelica and Alexandria. A Gary Albright Memorial Show was co-promoted by WXW, The World Wrestling Federation and All Japan Pro Wrestling in Albright's honor three months after his death. ^ a b John Molinaro. "Gary Albright dies in ring". Retrieved April 4, 2007. ^ Brian Ortmeier. "NU Wrestler racks up pins". Daily Nebraskan. CSTV. Retrieved April 4, 2007. ^ a b c d e Greg Oliver. "Albright's death felt by Stampede". SLAM! Wrestling. Retrieved April 4, 2007. ^ "Nebraska Wrestling Weekly News 2010-2011" (PDF). Retrieved January 16, 2011. ^ a b Hart, Bruce. Straight from the Hart. Toronto: ECW Press. p. 150. ISBN 9781550229394. ^ "SLAM! Wrestling Canadian Hall of Fame: The Great Gama". SLAM! Wrestling. Retrieved 2007-04-04. ^ a b c d e f g h i j k "UWFi show results Results". purolove.com (translated from German). Retrieved April 4, 2007. ^ "Best in the World Decision Match". Pro Wrestling History. Retrieved June 9, 2012. ^ "The Fight of Champions: Japan-USA-Russia Final". Pro Wrestling History. Retrieved June 9, 2012. ^ "Pro Wrestling World Tournament: Semi-Finals". Pro Wrestling History. Retrieved June 9, 2012. ^ "Pro Wrestling World Championship: Vader vs. Albright". Pro Wrestling History. Retrieved June 9, 2012. ^ Rob Butcher (August 1997). "The Shooting Gallery". Power Slam 26. SW Publishing. pp. 14–15. New Japan Pro Wrestling stepped in to save the UWFI from extinction, effectively turning it into an NJPW satellite group. ^ "Real World Tag League 1996". purolove.com (translated from German). Retrieved April 4, 2007. ^ "Real World Tag League 1997". purolove.com (translated from German). Retrieved April 4, 2007. ^ "Real World Tag League 1998". purolove.com (translated from German). Retrieved April 4, 2007. ^ "Real World Tag League 1999". purolove.com (translated from German). Retrieved April 4, 2007. ^ "Drugs Ckoke the Wrestling World". New York Daily News. Retrieved April 4, 2007. ^ Greg Oliver (January 10, 2000). "More details emerging in Albright's death". Retrieved April 4, 2007. ^ Greg Oliver, (January 10, 2000). He is survived by his wife, the former Monica S. Ancal; a son, Samuel A. Albright, and daughters, Angelica A. and Alexandria F. Albright, all at home; SLAM! Wrestling. ^ "Pro Wrestling Illustrated's Top 500 Wrestlers of the PWI Years". Pro Wrestling Illustrated. Archived from the original on October 14, 2009. This page was last edited on 7 January 2019, at 11:01 (UTC).